You know that series of movies that Lionsgate puts out, the “8 Films to Die For,” or its off-shoot “After Dark Films” series? This midnight movie wannabe sits comfortably in that zone of quality, and having seen a large handful of those films, I genuinely enjoyed two. I wish I had genuinely enjoyed this, but the lack of joy (even for his own craft) that director Tom Six (apparently that’s his actual name) injects into this experiment makes it absolutely unwatchable. 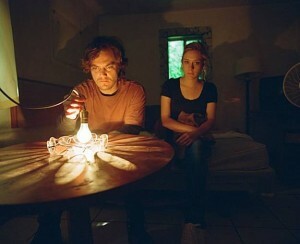 I’ve no qualms with the darker side of independent horror; in fact, I consider it some of the best cinema around. It’s the creation of neo-grindhouse art that I so greatly appreciate, but at least that has some joy in it. It isn’t made solely to piss on its audience, nor is it made to make a point. Six, who seems to be channeling pre-Rampage Uwe Boll, takes what could have been a modern grindhouse masterpiece and turns it into a shock-theater piece of the worst kind: banal. If you’ve never heard of German director Uwe Boll, that most likely means you’ve just avoided some really bad movies. The only other one of his films I’ve seen so far was 2005’s Alone in the Dark, a truly terrible film at least as bad as any I’ve previously deemed the worst of the decade, but by all accounts I’ve heard, his other previous films – including House of the Dead (2003), Bloodrayne (2005) and In the Name of the King: A Dungeon Siege Tale (2007) – are also among the worst ever made. 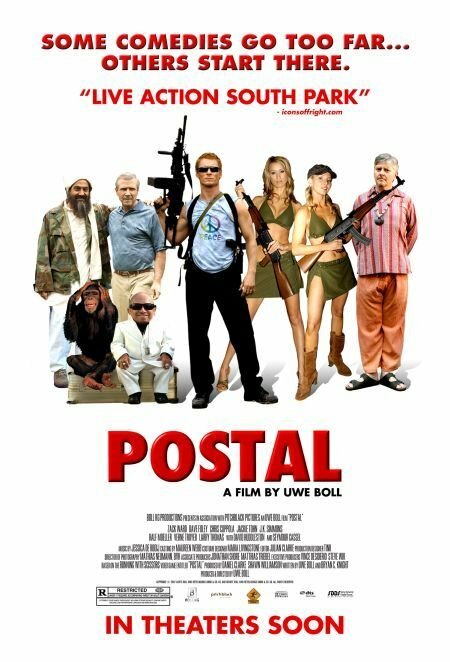 He is famous for his execrable video game adaptations (see all of the above) and for financing them through a loophole in German tax law that rewards filmmakers; the law has since been changed, presumably to make it more difficult for Boll to make movies. So it was with the gleeful fascination of a movie so bad it’s funny (i.e. Troll 2 or The Room) that I approached his post-911 comedy Postal. Three days and four viewings of the film later, my mind was blown. Often in film, story becomes the magical thread that keeps us involved; story usually consists of questions and answers that create conflict. 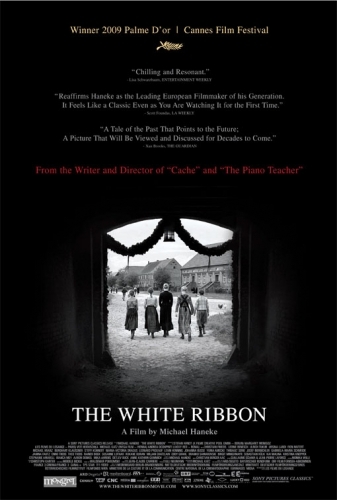 In Michael Haneke’s The White Ribbon, the questions we receive indeed create conflict, but the film also puts into view how far we will go to find the answers. Many have tagged this film as being a glimpse into the ideological beginnings of German fascism, or Nazism. I would agree with that notion, but what makes the film so interesting and gives it its true power is its transcendence across national, cultural, and even temporal divisions to examine that all-too-human need to understand its own basic horrors and needs for safety. Many attended the much anticipated premiere of Metropolis in Berlin on January 10, 1927, including many high-ranking officials in the German government, such as former Reichsprasident Paul Von Hindenburg. The film was the most expensive ever made in Europe at the time, and much was expected from it. It was carrying the financial burden for not only The Universum Film Aktiengesellschaft (UFA), the largest film production company in Germany, but also the German film industry itself. After all, UFA owed the majority of the film’s cost, a sum of over four million dollars, to two American film companies: Famous Players and Metro-Goldwyn. A few years later, it so impressed Adolf Hitler that he requested its director, Fritz Lang, to become his principal filmmaker for the German film industry. Lang fled Germany soon after the offer was made. Like all great epic films, just as much creativity went into the making of the film as the story itself. Lang used state of the art special effects to create integrated animated images with the actors. Much of these scenes were achieved by a technique called the “Schufftan Method,” a photography technique that combines mirror shots and model shots to create a composite image. 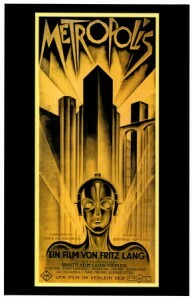 It was invented by cinematographer Eugen Schufftan and was first used on a large scale in Metropolis. Many of the other sets were built at real-to-life scale, not sparing much else to sacrifice detail. Lighting was used extensively throughout the film and accounted for a quarter of the film’s budget. Filmmakers in the early 1900s were able to move lights around and further away from objects while maintaining beam concentration, which enabled Lang to create surreal, hard light with long, sharp shadows. The scenes of the roberter (robots) are stunning, and the concepts and design of the roberter are mimicked in many other sci-fi films that came later, such as George Lucas’ Star Wars (1977), especially in the character of C3PO.